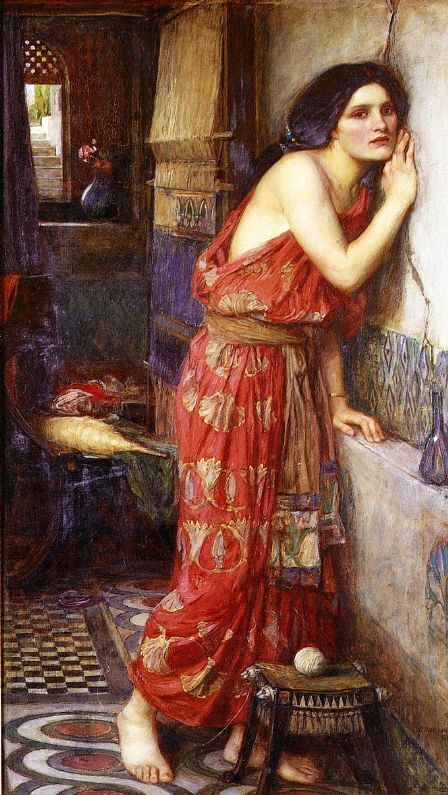 Pyramus and Thisbe live on either side of a party wall, and – since their love is forbidden in Montague-and-Capulet style – they rely on a hole in that wall through which to communicate. That I – one Snout by name – present a wall. Did whisper often, very secretly. This hole in the wall has, in the past, puzzled me slightly. Today, a hole in a wall would be an alarming thing – a sign of a major structural problem, perhaps, and certainly something unusual. Though Catherine considered her accommodation unbefitting for her status, it must be said that her standards were of the highest – she was still living in some state, and this was not a tumbledown or semi-derelict house. Hence my puzzlement. But then – oh joy! 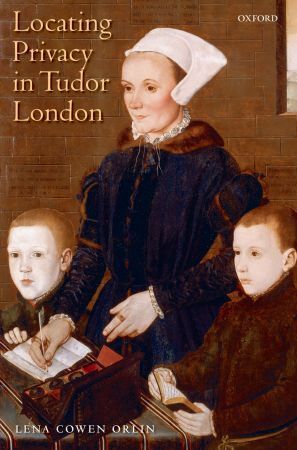 – I came across a book containing what amounts to nearly a whole chapter on holes in walls: Locating Privacy in Tudor London by Lena Cowen Orlin. And I discovered that holes in walls were a much greater feature of Tudor life than I had imagined. Locating Privacy is a brilliant book and its analysis of what the concept of privacy meant in this period is fascinating. The very act of seeking privacy, for example, could be seen as sinister. Life was lived cheek by jowl with one’s fellows, whether because of crowded housing conditions (for those of lower status) or because of the convention of being attended by servants at all times (for those of higher status). The mutual surveillance that resulted was seen to a certain extent as natural and even desirable. To many… privacy seemed a menace to public well-being. It threatened to deprive people of knowledge to which they thought they were entitled and about which they felt a sense of social responsibility. From this point of view, peepholes are significant not only as evidence of failed construction techniques, poor materials, bad repair, or accidental effects, but also as instruments of resistance. They restored the old communal conventions of shared knowledge and mutual surveillance. Any newly erected boundary could be breached by a defiant chink or cranny. Partitions between different living spaces, Orlin shows, were often intended to be markers of boundaries rather than providers of privacy. In the overcrowded, subdivided, many-tenanted London houses occupied by the working classes, any desire for privacy might be overshadowed by other, more pressing concerns – such how to avoid having your neighbour’s waste-water channel flowing directly through your bedroom, or how to live with the problem that the communal cesspit could only be emptied by its contents being carried through your living quarters. Orlin cites numerous recorded instances in which, to see into a neighbour’s house, a person had to do no more than lift a painted cloth. Even in less jam-packed situations, Orlin shows that internal walls were often insubstantial, no thicker than wainscoting, and that the flexibility this gave was seen as an advantage when tenancy arrangements changed. Some peepholes might, straightforwardly, be key or latch holes. Wattle-and-daub walls and half-timbered walls might lose lumps of clay, and cracks and holes could of course be due to subsidence, poor construction or nearby building work. In other cases, timber for partitions had knotholes, or had been recycled from other places and was often “pocked with peepholes” made by old nails and such like. Timber partitions might warp or shrink. 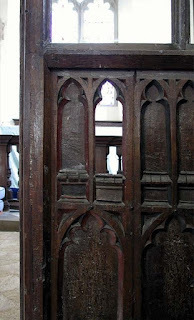 And sometimes partitions were on purpose not built right up to a chimney, for fear that the timber would catch fire; a cloth would be used to cover the gap. Other gaps in walls were made specifically to carry waste water through a building to the outside – cases were known where these openings were big enough for burglars to get in through them, or apprentices (keen on escape from their masters) to get out. In grand houses, too, holes might be included on purpose in a wall’s construction. An enclosed gallery running along the upper part of a great hall (an enclosed version of a minstrels’ gallery, in effect) was often provided with squints into the larger room below. Sometimes, the desire for a symmetrical pattern of windows on the house’s façade – designed without accommodating the interior floorplan of what might be an older building behind it – resulted in a window being placed just where an interior wall abutted the facade. In such a case, so that the interior wall was not visible from the outside slicing the window in half, the interior wall might be made to stop short of the window, creating a gap big enough to put your head through from one chamber to another. Another reason for a purpose-built gap in the wall might well be to let in light to an inner chamber or passageway. Was the door or window open? Or did he or she see such acts through any hole or open place of the wall? How many open places or holes were there in the wall? How big was such place where he or she peeped…? Sadly there is no way of knowing precisely what kind of hole in the wall it was through which Catherine of Aragon communicated her defiance to the Duke of Suffolk in December 1533. But Lena Cowen Orlin’s excellent book has made me realise that this mode of communication, though perhaps unusual for a queen, was unlikely to be a novel idea either to readers of Chapuys’ dispatch or, indeed, to Elizabethan audiences watching ‘A Midsummer Night’s Dream’. To spy an I can hear my Thisbe’s face. I would just like to say how saddened I was to hear of the death, in September, of Prof. Eric Ives, at the age of 81 (read an obituary here). Acclaimed by David Starkey as the author of the best academic biography of Anne Boleyn, Prof. Ives had the gift of writing both accessible and deeply scholarly works. His The Life and Death of Anne Boleyn is utterly brilliant, and I would also highly recommend the controversial and fascinating Lady Jane Grey: a Tudor Mystery, and The Reformation Experience, the latter published only this June. I had the great good fortune in May this year to take part in an event in Warwick chaired by Prof. Ives – the first time I had met this longstanding scholar-hero of mine. I was nervous beforehand about giving a talk in his presence, but he made the evening a delight: he was extraordinarily generous and friendly, and a skilful chair to boot. 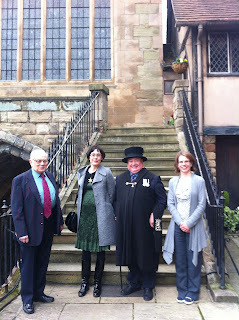 What a lovely man – as well as a great expert – the world of Tudor history study has lost. May the books he has left behind be appreciated for many generations to come. H.M. Castor's novel VIII - a new take on the life of Henry VIII - is published by Templar in the UK, by Penguin in Australia, and will be published by Simon & Schuster in the US in 2013. It is currently longlisted for the Carnegie Medal and the UK Literary Association Book Award. H.M. Castor's website is here. I am so sad a bout Professor Ives. I agree and used his biography of Anne Boleyn in my thesis. This post is the best I have read in weeks and the book on privacy will be high in my purchase list. It also explains suspicions re Ann Boleyn as she closed doors and most likely sought privacy. It fits with a concept of universality that harks back to Catholicism etc during the medieval period. Food for thought indeed. Thank you for that - an excellent start to the week! Thank you for the fascinating post, Harriet. I loved your discussion on the concept of privacy. It will be very helpful for the work I'm doing. Great post, Harriet. And a lovely reminder of the mechanicals' casting call and rehearsals, always my favourite moments in A Midsummer Night's Dream. I've read Lena Orlin's book too. Fascinating. The whole concept of privacy in the Tudor period is a really interesting one, I think. Thanks for a very interesting post. I nominate Justinian I (Justinian the Great) for the following reasons. History records ambiguously. The Wars of Justinian and Secret History, both by Procopius, paint very different pictures of a guy who is thought of as a saint by one church. His wife, Theodora, and his general, Belisarius, are both fascinating characters in their own right. Justinian tried to restore the Roman Empire to its former glory. I’m not saying that was a good thing but it shows he had hutzpah. You can visit the beautiful Hagia Sophia in Istanbul which he had built (choosing a scientist and mathematician for an architect) and he did a huge amount for women in his legal reforms. Fascinating post, Harriet. I find the attitude to privacy (or lack of it) in previous ages one of the most difficult to assimilate. Those communal garderobes - help! I played the mechanical who played Thisbe! In the Dream in a college production that went to Stratford. We're talking 1965 or so. We stayed in caravans in the grounds of the Alveston Manor Hotel. But that's not what I wanted to say. I wanted to say: fascinating post about privacy. Marvellous stuff. Thank you for this interesting article which brought another aspect of the past to life, and your lovely footnote about Eric Ives too. What a fascinating post! Just thinking about all those peep-holes and cloth-covered gaps in walls makes me want to start writing. This is definitely a book I will buy - thank you for alerting us to it. Great post Harriet. At the tender age of 20 I decided to produce 'A Midsummer Night's Dream' at the junior school where I'd just been appointed drama/art teacher. Talk about the impudence of youth. I hardly knew the meaning of the word 'chink' let alone how I was going to portray that scene, or the whole play for that matter, with 11 and 12 year olds. But what a lovely reflection on privacy your blog was! Thank you, Dianne and everyone else too, for your lovely comments, from communal garderobes to Midsummer Night's memories! Hugely appreciated. Really interesting and thought-provoking! It just shows that the past IS another country. I suppose it's really interesting for students. You can read https://essayclick.net/blog/research-paper-writing if you need to write a research after reading this article.